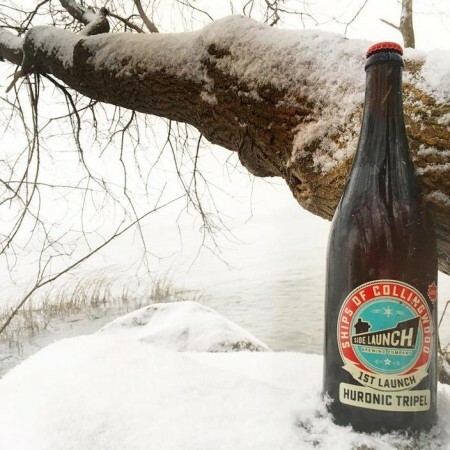 COLLINGWOOD, ON – Side Launch Brewing has announced that the debut release in its Ships of Collingwood Series of limited edition beers has made a return appearance, and is the first in the series to be available outside of the brewery retail store. This highly carbonated Belgian-Style Tripel has a clean maltiness, lots of spicy depth, and an evidence of alcohol that peeks through complex orange and mango flavours. Huronic Tripel is available now in a limited run of 750 ml bottles at select LCBO stores throughout Ontario.